When you discover one garment component shows in styles repeatedly, you are likely to copy its information from techpack to techpack. 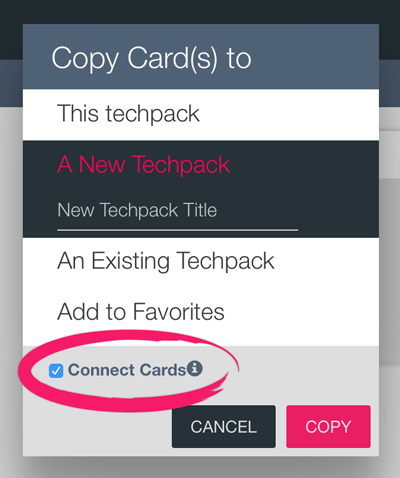 On Techpacker, this can be easily done by copying cards. 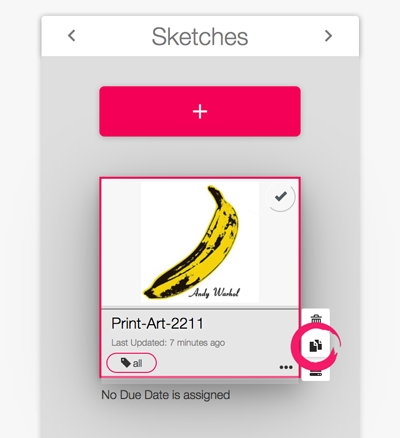 But what if we need to change the component or its details after copying? N Do we need to trace techpacks with this card and update them one by one? 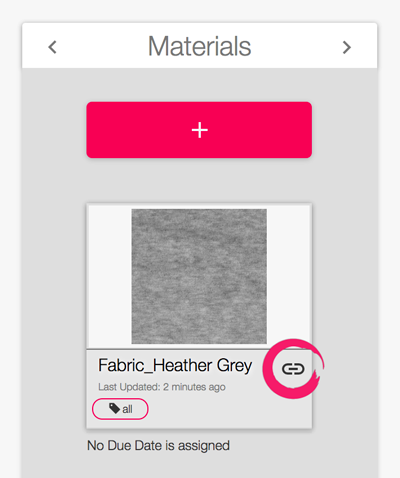 On Techpack Dashboard, hover on "..." at the lower right corner of a card and click copy icon (see image below). Note: The connect card feature is not yet available when multiple cards are selected. Copy cards to existing techpacks or new techpacks and you'll see the "Connect Cards" option. Check it to make the connection between cards of different techpacks (see image below). The link icon next to the card title indicates a successful connection (see image below). Once you make changes on a connect card and click save, an alert pop-up will appear. The pop-up displays techpacks containing this card and ask if you would like to synchronize all connect cards (see image below). Disconnect and save on this card only - only this card is updated. When you make changes on cards it previously connected with, this card is NOT updated accordingly. Worry Free Reminder - Both synchronization and disconnection are IRREVERSIBLE. Apart from connecting cards, you can consider creating templates in "My Favorites" and make all final changes there.